This unique award was created for Wagamama restaurants. 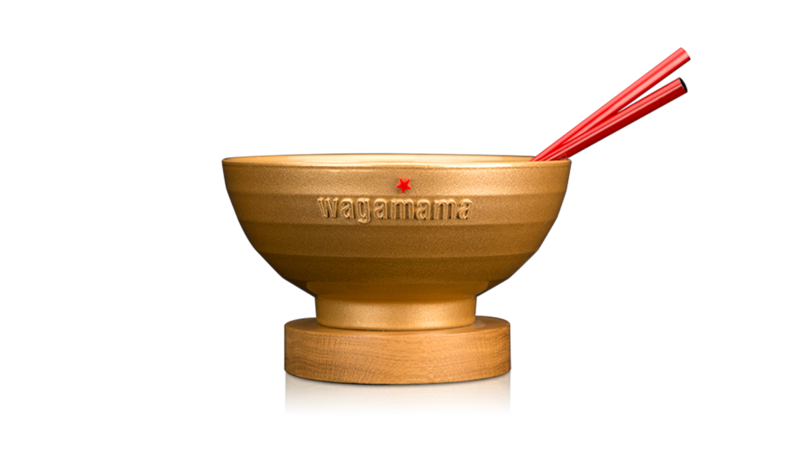 Moulded from an actual Wagamama bowl, this award was perfectly tailored to incorporate the Wagamama brand. The award was finished in painted resin, with a pop of colour, and stands on a smooth wooden base.